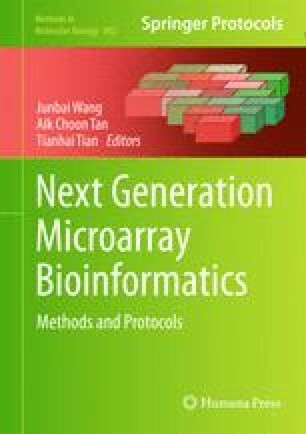 The Gene Expression Omnibus (GEO) database is a major repository that stores high-throughput functional genomics data sets that are generated using both microarray-based and sequence-based technologies. Data sets are submitted to GEO primarily by researchers who are publishing their results in journals that require original data to be made freely available for review and analysis. In addition to serving as a public archive for these data, GEO has a suite of tools that allow users to identify, analyze, and visualize data relevant to their specific interests. These tools include sample comparison applications, gene expression profile charts, data set clusters, genome browser tracks, and a powerful search engine that enables users to construct complex queries. This chapter is an official contribution of the National Institutes of Health; not subject to copyright in the USA. The authors unreservedly acknowledge the expertise of the whole GEO curation and development team – Pierre Ledoux, Carlos Evangelista, Irene Kim, Kimberly Marshall, Katherine Phillippy, Patti Sherman, Michelle Holko, Dennis Troup, Maxim Tomashevsky, Rolf Muertter, Oluwabukunmi Ayanbule, Andrey Yefanov, and Alexandra Soboleva.